Zarzalejo Futuro: future scenarios, Spain. Remarkable changes are underway in Spain. The impacts of austerity and the economic situation are being acutely felt across the country: unemployment is running at 27%, nearly 40% in some places. One in three children in Spain are at risk from poverty. Evictions are widespread. At the same time though, something remarkable is stirring, and Transition is one part of that new emerging story. There are now around 50 Transition initiatives in Spain, and one of the most influential of those is Zarzalejo en Transición. 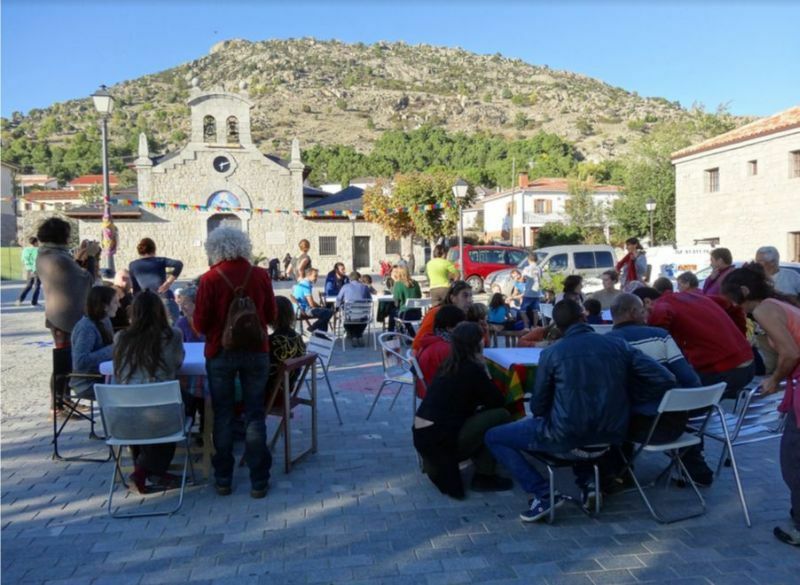 Zarzalejo is a small village in the mountains near Madrid, and they have done a lot of work to inspire the communities around them to take a similar approach. Madrid, like Barcelona, has seen a huge political shift which began with the 15M movement (Movimiento de los Indignados) in 2011, the massive movement which occupied public squares across the country. Now, 4 years later, Madrid and Barcelona’s governments are run by those who came through 15M, and like many places, Zarzalejo’s council is now managed by a citizen’s group. This is a shift which has opened up huge possibilities. According to Juan del Rio, co-ordinator of the Spanish Transition Network: “Zarzalejo en Transición has been probably the most important local Transition initiative in the central region of Spain. It has also catalysed and inspired other initiatives and projects in the same town and region”. The group has co-coordinated many different projects, the Future Scenarios project being the most recent one. Thinking about the past and the present, the group is convening people from across the community to reimagine and to dream the place they’d like Zarzalejo to be in the future. This project is based on former ones like Oasis (which brings young people together, around a set of activities which involve dreaming the future and social transformation, but combining it with practical activities), Zarzalejo Cuenta (a compilation of local history), and previous working groups from Zarzalejo in Transition (Food, Environment, Transport, Local Resources, Culture and so on). Drawing on the many partnerships that the group have already created with local government and other progressive associations (including Creasvi, Puentes4D, ObservatorioCulturayTerritorio and others), the group are now expanding the future scenarios work to include a lot more people from the village, to create a tangible, real and sustainable vision of the future for Zarzalejo. If world leaders came to visit us, we would thank them for coming to visit a real project, happening on the ground. We worry that often our leaders lose contact with what’s happening at the local level. One of the key questions they have no answer to is how to make change contagious. We are showing here how that is possible. What we are doing here needs support rather than all the resources going to huge, out-of-touch projects.